Many people are looking to get in the business of buying and selling wholesale designer handbags. If you want to look at buying wholesale Gucci bags from China this article will discuss various things you need to be aware of. First, buying from China can involve red tape, it just depends on the situation. Secondly, there are multiple places that sell stuff from China. These include DHgate.com Alibaba.com and lots of others. Sometimes people advertise on eBay, too. Gucci makes great bags and lots of people are interested in them all the time, so they are fairly easy to sell in my experience. Second, what are the shipping charges that you will have to pay? These will depend on the speed of how quickly you want your bags. Many people do not need them quickly, but going by sea or by air makes a big difference. Third, you will have to consider the red tape when you import things into the United States. Depending upon what you are buying this can make it a big deal, or not a big deal at all. Fourth, it is not hard to find a vendor to buy wholesale Gucci bags from, but to find a quality vendor to do business with, a vendor who is honest with Gucci bags, is not that easy. There are lots of companies out there who claim to sell Gucci bags, but these can be imitation bags. The main thing you must do is buy some of these bags ahead of time and inspect these bags to see if they are high quality and if they are authentic wholesale Gucci bags. The best way to compare is to have a known authentic Gucci bag right to the one you have bought and go through it. Look for small mistakes, look for minor stitching mistakes, and inspect the tag. Another thing is to smell the tag to see if it smells correctly. Get a feel for the material and even wear the bag around. 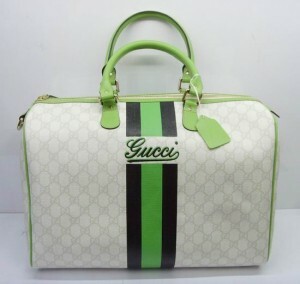 If the wholesale Gucci bag you have bought from China is authentic then you know you have a good vendor to work with. With that being said you ALWAYS need to spot check your bags, because some vendors will slip in junk or fake bags after you buy your original lot of bags because they know you are inspecting them. Other red flags and things to look out for when buying wholesale Gucci bags from China include making sure you don’t fall victim to the scarcity trap. What is the scarcity trap? The scarcity trip is when a vendor wants you to buy things quickly because they have a special deal. When you are first starting be EXTREMELY careful of this. Once you have an established relationship in place then they do have some of these deals. But when you begin there are some companies that will tell you if you buy right away you will get an incredible deal. But you never receive your bags and your emails or phone calls never get returned, and they are out of business. These are just a few things to watch out for if you are interested in buying wholesale Gucci bags from China. Don’t make the mistakes that most people make. Now, if you are serious and if you want to work from home and have the freedom that this type of business can offer then you need to learn more about this solution here. This is the only thing I recommend to get started, and I personally use this on a regular basis in my business. Is it really possible to have a business buying and selling wholesale designer handbags? If you are looking to buy wholesale designer handbags, either for personal enjoyment or for a business, it is important to learn about buying wholesale handbags in bulk as well as what to avoid when working with dealers. This article will tell you how and where to begin. 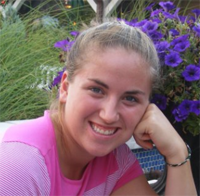 My name is Kelly Clarke and I got involved in this business because I wanted to be able to work from home, control my time, and be able to spend time with my family. I started doing research and came across a lot of information, so I decided to answer some common questions, and then I decided I wanted to tell people about the best resource I found to get started. People who are interested in getting involved in buying or selling wholesale designer handbags need to be aware of several things. First, if you want to do this as a business you of course have to find a good supplier of wholesale handbags. There are LOTS of suppliers, but not all suppliers are good suppliers. Lots of them sell cheap junk, fake bags, or some are even out to rip you off. I was able to learn this information, so here are some warning signs and red flags to help prevent you from losing money. Tip 1: To find a vendor you need to focus on these things. 1) How long has the vendor been in business? How long do they claim to have been in business? A simple check of their website can, many times, tell you if they are lying. To check this out go to whois.net and enter in their website information. If they say they have been in business for 7 years, yet the whois information shows that they have only had that website for 2 years, that might be a red flag (or it might be that they changed websites). 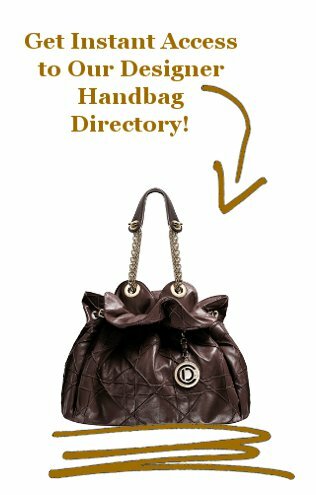 Tip 2: Any company should be able to provide references and resources, and buying wholesale handbags in bulk is no different. You want to deal with a company that has experience and has many happy customers. Ask to speak to a few of these references. Tell them you have been burnt in the past and want to make sure you are dealing with a good company. Tip 3: Check out the feedback of these companies. Many companies will be listed in directions and you can get good information on them by checking out their online information. Tip 4: Before you buy a large shipment you need to work with a few companies who and see who can deliver the best service and prices. You also will want to get some samples. Now most companies are not going to give you free samples because they realize that if they did that then they would always just have tire kickers and people wanting to get free bags just for fun. If you are seriously wanting to get into a business of buying and selling wholesale designer handbags then you need to avoid these mistakes. I would recommend that you check out this product here. You have absolutely nothing to lose, and everything to gain! I wish you great success in selling wholesale designer handbags! 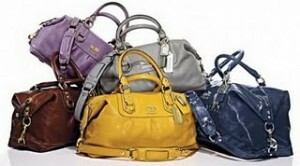 Are you wanting to buy wholesale handbags in bulk? I have successfully done this and can advise you on how to do this and what mistakes and problems to avoid. 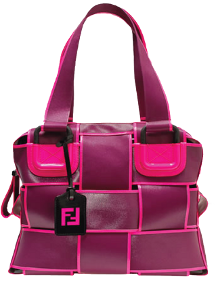 I remember when I was getting ready to purchase my first order of wholesale handbags in bulk and I was looking for wholesale handbag distributors. I was nervous, after all it was a lot of money, but I wanted to truly have a business so I could control my life and set my own hours. So, I am sharing this information with you so you can avoid making the common mistakes that most people make. First, there are LOTS of suppliers who sell wholesale handbags in bulk, but finding a quality supplier might take some more time and is not automatic. First and foremost you need to buy from someone who is honest and who provides good quality. If the wholesale handbags or designer purses are crappy or are falling apart, you won’t be able to sell them, or if you do make a sale people will want their money back. A cheap handbag won’t last very long, and if word gets out that you sell junky handbags then you are i trouble. Another thing you have to watch out for is places that won’t deliver your handbags. There are many “fly-by-night” companies that only exist to take your money and then never deliver. One way to protect yourself from this is to ask for references and other happy customers. The company should be willing to disclose this information. A big red flag is a company, at least one you do not have a relationship with, trying to get you to buy quickly due to a special discount. If you don’t know them well this is probably a tactic to try to get you an ‘insider deal’ if you buy now. 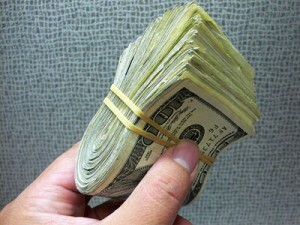 Watch out for companies who require that you pay in cash, or by check, or by wiring money. You want to have a relationship and have some type of payment system to where you are protected. Generally Paypal is a safe way to go as they have a method of protecting both buyers and sellers. When you find a good supplier try to get a few sample bags. Of course you are going to have to pay for them. They know that a lot of people want “free” samples so they can never have to pay for stuff. The shipping may be expensive. The more success you can show the company the more discounts and deals you can get. Once you have a thriving business setup, it is important to try to lock in deals so you can buy wholesale handbags in bulk and save even more money. Now if you need help in getting started you should do what I did. I invested in this right here. It provided me great information and is a great resource for people who are wanting to start their own business. There is no risk in learning more, and this is the only solution I promote or recommend on the Internet. I know I would have not been successful without it.